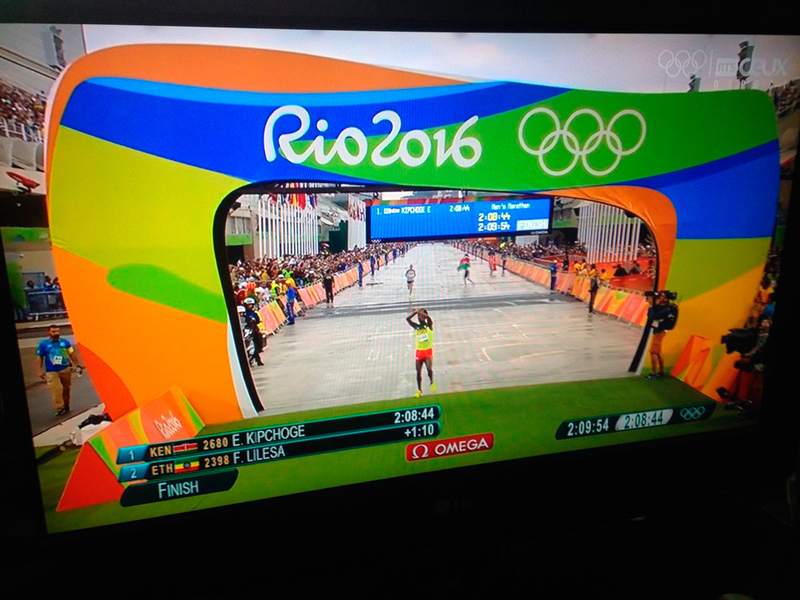 Source: An Olympic marathon runner from Ethiopia staged a daring protest against his home government when he crossed the line in Rio on Sunday. 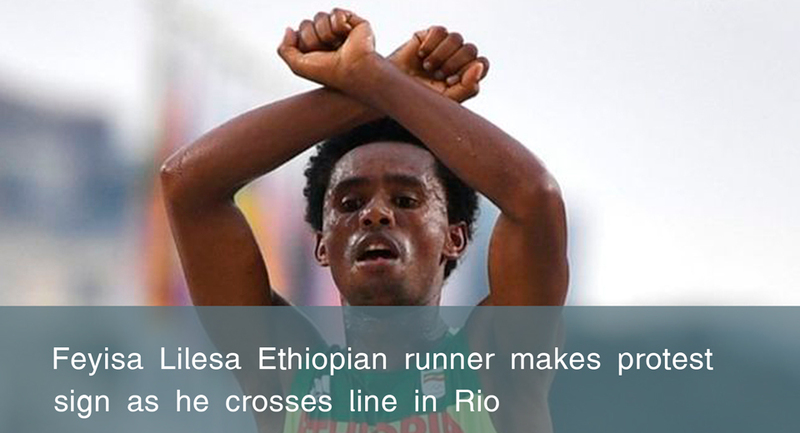 As he took the silver medal, Feyisa Lilesa crossed his arms above – a gesture made by the Oromo people who have suffered brutal police crackdowns. He repeated the protest gesture later at a press conference, saying his life would be in danger if he returned home. Human rights groups say that Ethiopian security forces have killed hundreds of people in recent weeks as they crack down on anti-government protests. Explaining his actions, Lilesa said: “The Ethiopian government are killing the Oromo people and taking their land and resources so the Oromo people are protesting and I support the protest as I am Oromo. The marathon runner said that he might be killed if he returned.